Post a job in minutes: Fill out a simple form with key criteria, enter your job description and submit! Cost-effective advertising: More cost effective than current electronic job boards. 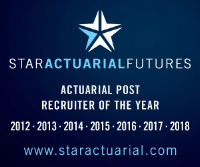 Add screening questions: Qualify your candidates through the Actuarial Post's free screening tools that display your custom questions to all applicants . 5 Featured Jobs POA All Job credits are live for 30 days. 10 Featured Jobs POA All Job Credits are live for 30 days.